When will the greed and destruction stop? 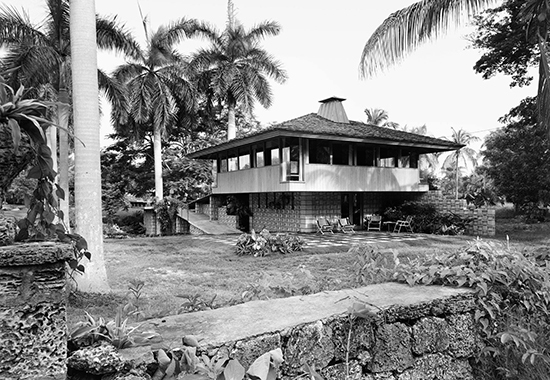 The City of Miami's Preservation Office is expected to recommend denial of historic designation of the Alfred Browning Parker designed Dora Ewing residence, located at 3701 El Prado Boulevard. The house was advertised by realtors as a tear down. The current owner would like to tear down the house. I'm not sure how you purchase a magnificent property built by one of the country's top architects, and see demolition as its future. "It's beyond rational belief that the Miami's Preservation Office would recommend the demolition of this iconic part of Coconut Grove's architectural heritage. 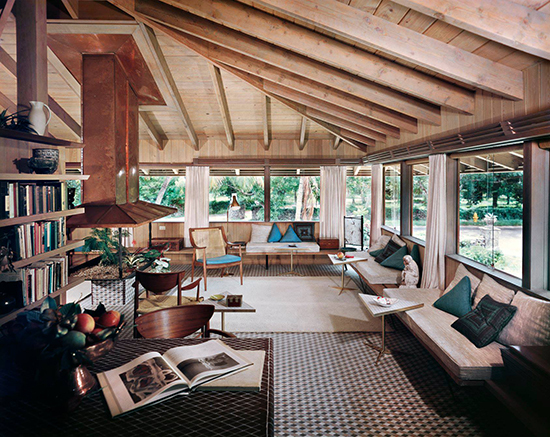 My father designed and helped build the Ewing residence. Dora Ewing was a very elderly widow with a tiny budget, whose joy was creating pottery. She couldn't climb stairs, hence the ramps including a intermediate place to rest on the journey up....Her studio for 'throwing' pottery was on the ground floor to enable it to be 'washed' out with a hose on occasion as needed. The upper living quarters included one-piece of continuous built-in furniture...It began in the kitchen with cook-top and cabinets, swung into the dining room with built-in dining table and went on into the living room with fireplace...From the living room this 'one-piece' of built-in went into the bedroom with closet and ended in the bath..An integrated serpentine piece of furniture designed by Alfred Browning Parker to provide all of Dora's living needs," says Robin Parker, Alfred Browning Parker's son. Yesterday, fairly new resident of the Grove contacted me, she is distraught because her little plot of bungalows is being demolished. She wrote: "Drive Development purchased our little community of homes. They plan to knock down the houses and trees on the property including numerous huge banyan trees. They have submitted plans to the city but I don’t believe anything has been approved yet. "Drive Development has also installed camera's pointing at our front door to spy on us and make us as uncomfortable as possible so we’re forced to leave." I didn't know what to tell her, if these developers are following the law, what can be done? Regarding the Dora Ewing resident, District Commissioner Ken Russell says, "I’ve discussed with our City of Miami preservation officer the potential for a thematic historic district based on specific architects who were influential in Miami’s development. Alfred Browning Parker certainly has many roots here. My official role only comes into play if there is an appeal of a decision by the Historic Environmental Preservation Board. Then it comes to City Commission. Until then I will watch the process with interest." UPDATE: Regarding the house, the meeting took place Thursday, but the HEP Board continued this issue until January 8. The meeting will be at 3 pm that day at City Hall (3500 Pan American Drive). The issue was lack of notification. Proper notices were not posted. Miami has no sense of itself or its uniqueness...I hope the Grove can stand tall, especially for designers who created homes that spoke to and drew from our vanishing environment. We live in an Alfred Browning Parker home in the North Grove that was built in 1953. Because we have a large lot, instead of razing the house we added on to it and left the Browning Parking home intact. The El Prado Home has a lot nearly 10,000 SF, therefore, it too can be renovated and added on to. A lot of the younger generation do not care or appreciate this type of house or architecture. They would probably also tear down a Frank Lloyd Wright home without any qualms. It is a shame to say the least. Our house is for sale. It was built in the '30's. One person walked through the property and barely looked at the house. Then he told me how exciting it is that all those new offices were being built and and that new large homes were raising our property values. As I look at the excruciatingly ugly buildings that are taking over our area and the excitement of the developers, is there any wonder that we want to get our money and run? Has anyone spotted Ken Russell at Greenstreets with the Drive Development team? That's where Sarnoff used to agree to favors, where does Kenny boy go to take it under the table, definitely somewhere. Where is the property that Drive Development purchased? I know of 2 such areas in The Grove and it would be a shame to lose them. Looks like a lot of people are against change. Change is good! This house is an ugly house. I saw it many years ago when it was up for sale. I don’t care who built it. The government should not tell you what to do with your property! Ugly is in the eyes of the beholder. You probably think all of the white boxes with practically 0 lot lines and no mature foliage are attractive. Anon 5:55, just leave it blank like your brain. "Ugly is in the eyes of the beholder". DAaaaaaaaaaa - "You probably think all of the white boxes with practically 0 lot lines and no mature foliage are attractive". DAaaaaaaaaaa - Doesn't that contradict you brain dead observation? So, you feel these MacMansions are ugly, is that your premise? Coconut Grove has gone and is going to continue going new, modern & progressive. $7-B has been allocated by a German co-op to tear down the old Grove and construct a cash cow and they've had card blanche for about 15 years, bought and paid for long ago. I love this house! It has always been my favorite house, can it be dismantled? Who can I contact? I grew up in the Grove and its BS that they want to tear down these beautiful homes. It's what made the Grove different from the rest of Florida and needs to be preserved. Coconut Grove formed a Neighborhood Conservation District in 2005, It has zoning regulations and language designed to preserve the character of the neighborhoods. The city planning director, and others have chosen not to enforce that code. When they were challenged they decided to change the code to allow more than 2 times the density and to reduce parking requirements by as much as 100%. Ken Russell is sponsoring the the changes. I'm all for historic preservation, but this house was built in '53. Let's start with the 100-year-old bungalows being demolished, like we did with Charlie's Woods. A house does not get to be 100 if it is torn down. Is there some sort of Coconut Grove Home Owners association? Were I live we've had issues for years from a supermarket wanting to expand to other commercial biz wanting to ruin our little neighborhood. We stand vigilant and fight all of them Go to all the county meetings and do let them intimidate us into giving up our homes. Those are historic homes and should be preserved. The house is not ugly. It is beautiful and would be a dream home for me since I am also a ceramist. Very unique design and not those cookie cutter McMansions being built today.